The next review on New Beef King will focus on a 2 ounce/56 gram bag of their spicy flavored beef jerky. 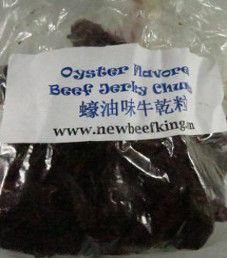 This bag was purchased in late December 2014, while visiting New York, New York, at the New Beef King store located in the Chinatown section of Manhattan. That would make this oriental jerky. 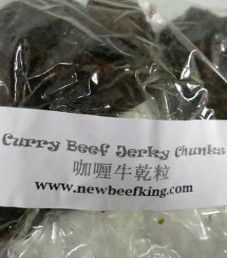 The next review on New Beef King will focus on a 4 ounce/113 gram bag of their curry flavored beef jerky. 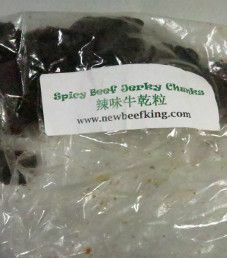 This bag was purchased in December 2014, while visiting New York, New York, at the New Beef King store located in the Chinatown section of Manhattan. That would make this oriental jerky.